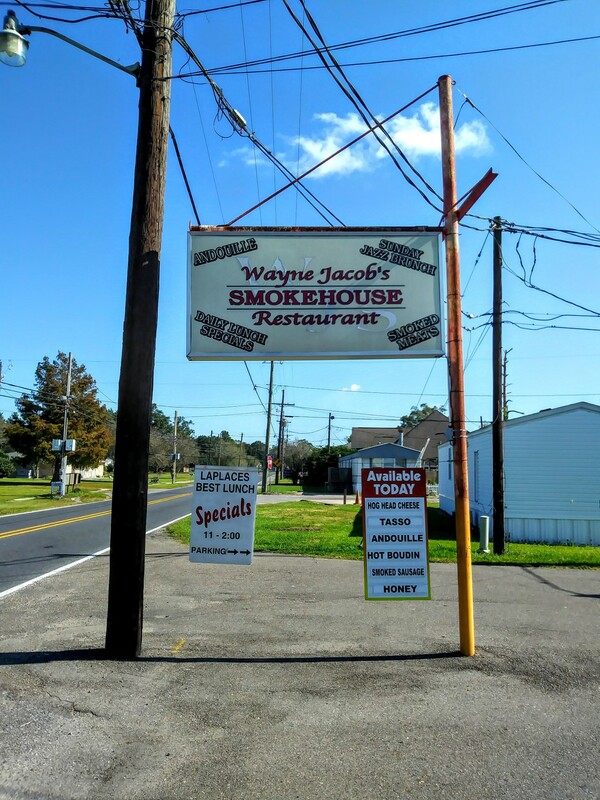 On a recent drive up La Cote des Allemands we had an opportunity to break bread at Wayne Jacobs Smokehouse in St John The Baptist Parish. Nolan “Nat” Jacob opened the smokehouse in LaPlace, Louisiana in 1950. It has since become legend in Acadiana. The high art of andouille production had already been in full flower for decades by the middle of the 20th century as rival Nelson Jacob, reportedly no relation, had opened his eponymous charcuterie house way back in 1928. We were on a sausage run and visiting smokehouse after smokehouse was about to drive us mad with hunger. Thankfully Wayne Jacob’s Smokehouse has a restaurant tucked inside, and while an andouille po boy was not on the menu the cook agreed to make us one. A po boy at Wayne Jacobs means fresh Leidenheimer bread with accoutrement of mayo, lettuce, and pickle on the side. They cut their own potatoes for french fries at Jacob’s joint but unfortunately the fry cook was too eager to get them out out of the fat and they were soggy. A side of ranch dressing mitigated the problem. The Texas cure-all can sop up all sorts of cook’s mistakes. 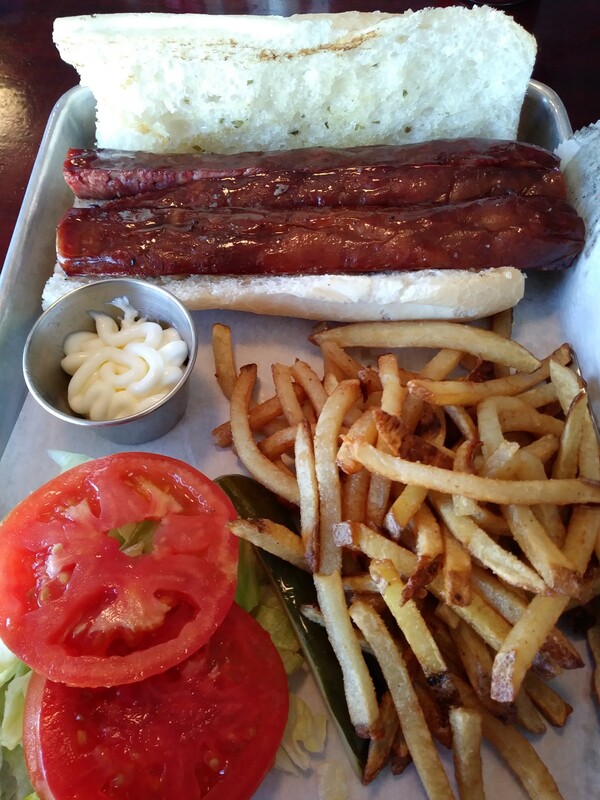 The andouille has been split longways then cooked in a hot skillet till a good crust formed on the farce. Oh, and that farce-nice and chunky, a bit dry but with a good heat level and a deep, sustained smoke flavor. Our waitress is a peach-just as friendly as she can be. Would that that were the standard order of affairs in nearby New Orleans. 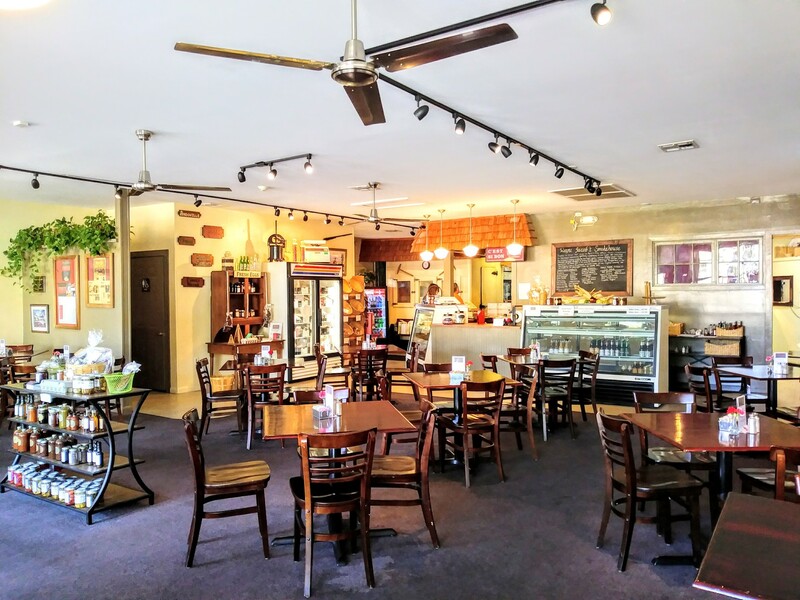 Wayne Jacobs has the feel of a large, well run concern with all manners of fancy, gourmet goods and sundries on offer. We didn’t expect to see smoked salt for sale in St John The Baptist Parish. You can also buy yard eggs at $5 a dozen which makes us grateful for our little old lady in Arabi who sells them to us for $3 a carton. But the beating heart of Wayne Jacobs Smokehouse is the butchery and curing room in the back. This is where the Cajuns, the French, the Germans, and all the other nearby residents come to lay in the boudin, andouille, tasso, Italian sausage, cracklins, duck sausage and beef jerky. We bought 10lbs of andouille for a big pot of gumbo and are happy to report that it’s as fine a rendition as we’ve ever sunk our teeth into. Wayne Jacobs Smokehouse has seen a few owners in its 67 years of existence. We suspect the newest generation are some supremely sharp businessmen what with all the ancillary goods on offer, and the butcher county lady’s constant wrapping of express mail packages being prepped for journeys to far-flung locales across the globe. All the better. We need time-worn cured meat houses to survive and prosper in our great state. How else are we going to make our kettles of gumbo and red beans and rice?